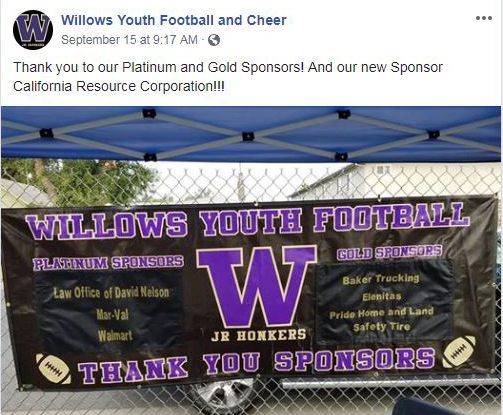 Willows, California, may be a small town to some, but to the 6,200 residents – and especially for the Willows Youth Football and Cheer Organization (WYFCO) — it’s now filled with big time excitement leading into the fall football season! This key community organization supports the youth of Willows through sportsmanship, extra circular activity structure and ongoing mentorship through a positive and supportive family environment. 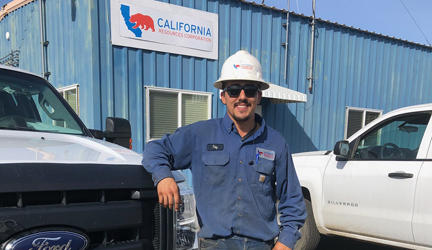 California Resources Corporation (CRC) recently contributed to WYFCO, which is a large youth group made up of young boys and girls and run by parents and volunteers. 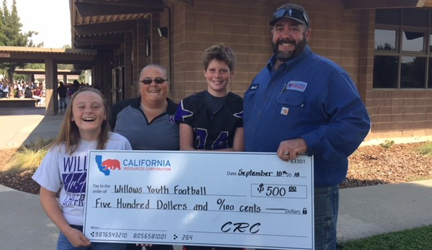 Jason Huttman, CRC Production Tech and Willows Youth Football Coach, said, “It wouldn’t be Willows without the kids playing football and cheering on Saturday afternoons. I’m grateful to be able to coach these little guys and thankful for CRC’s contribution to the success of this year’s season!” This is Jason’s eighth year coaching his son Gabe’s football team in the Willows football league. Willows is part of CRC’s Sacramento 53-field basin that includes dry gas production. 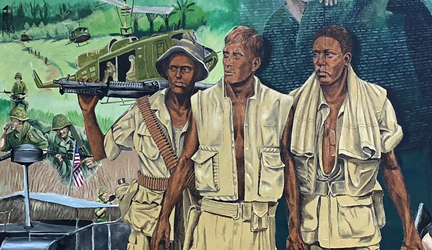 Many of CRC’s employees grew up in the city.